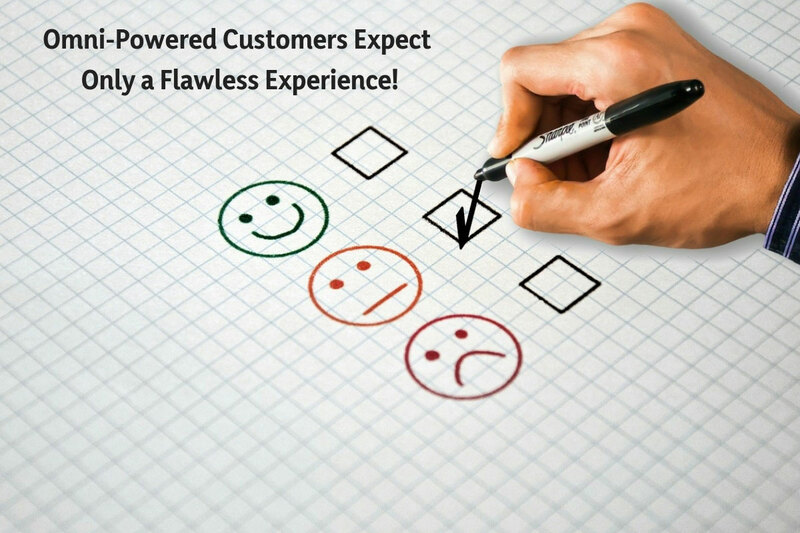 Omni-powered customers expect only a flawless experience! User experience is something that can instantly increase or decrease people’s interest in a software, application, website, webpage etc. Users hardly want to spend a lot of time on a website or a product. If they do not like using any software, or they don’t like the navigation, design or if they find any issues in using a software, they will not wait for a moment to jump to the other product. Therefore, for the developers, it is extremely important to take care of the user experience aspect. According to a survey, 39% of the users would stop engaging with a product if it takes too long to load. Good user experience not only helps the company to attract more customers, but it also helps them to retain their existing customers. User experience plays a major role in the success of any project. Therefore, it has to be the priority of a company. Even, any tweaks in the design should be taken seriously. As, sometimes, users may not like the new additions that you thought they would like. After all, the product is for the user, so you have to make sure that it is perfect. Whether it is the design failures or any glitch in the functionality, there are various flaws that can annoy the user. In case your software, webpage or website is helping the users to achieve their goal, they will undoubtedly love your product. Not just that, they will also continue to use it. Apart from using it, they will also suggest your product to more people. This is where the role of user experience testing come into play. It enables you to understand how your audience is actually using your product. Therefore, it is very important to perform rounds of user experience testing, to make sure that your changes are working in favor of your product. It is important to get an understanding of how your target audience basically uses your product. This will eventually help you to form a better approach when it comes to attaining greater user satisfaction. Why should you prioritize user experience testing? Usability Testing or the user experience testing is the technique of listening as well as listening to your users. While your users are interacting with your software or website, you can talk to them to understand their interest levels. With this, you will find valuable insights, which will eventually help you to create a fabulous product. Your product, which will be specifically aimed at your users would certainly help you get more traction. At the same time, there is no doubt about the fact that it is going to take you ahead of your opponents as well. How to perform user experience testing? User experience testing is done via various solutions. In the market, you will find a plenty of interesting user experience tools and solutions which not only help you to perform user experience testing but also help you with a lot of other things. User Testing is a layered process, and it included different steps. Apart from the user experience, some of the tools also help you to gauge the conversion. With the help of some of the user experience testing tools, you can easily record visitor actions, make use of the user research panel as well as run A/B tests etc. You can use a plenty of applications to do different activities in order to test the usability, this includes, making feedback forms, test web forms etc. Testing all your designs and the elements is also vital. You need to make sure that your designs are integrated perfectly. Also, they should be placed appropriately. After all, most of the visual impact of the product is made by the designs. Therefore, they have to be ideal for the product. And, testing helps you understand their perfectness. However, the most important part of the user experience testing falls under the umbrella of software testing. If we are particularly talking about a offshore software development company in India and its user experience, then while testing the complete software, user experience testing should also be done. This will make sure that not only the codes are perfect, but also, the product is developed in such a way that it offers a fantastic user experience. As customers nowadays are very critical about the user experience as they have a lot of choices in the market. So, make sure you offer a tremendous sure experience so that they find no reasons to leave you! And, only flawless testing can help you achieve your goal.